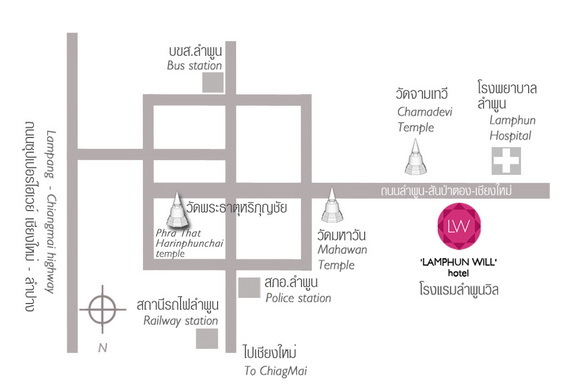 Lamphun Will' Hotel, is named by the owner who has been inspired by beauty and peacefulness of Lamphun's lifestyle. The 'Lamphun Will' means "willingness". The willingness to make the hotel one of the great meeting places for everyone. We are the largest and the most selections of function facilities equipped with appropriate meeting and social functions equipments. The highlight of the hotel is on the hotel's top floor where our guests can enjoy our iconic can't-miss "window of stars", the perfect place for social gathering or a romance in Lamphun, "wine and dine your night away with your loved one".